This is more than just the slogan used by the U.S. Department of Homeland Security to encourage people to report suspicious terrorist activity. It should also be the mantra of every workplace to encourage the reporting of discrimination and sexual harassment. Simply stated, without witnesses who are willing to get involved and “say something,” discrimination and sexual harassment cannot be investigated and addressed, allowing it to spread throughout the workforce like a cancer. A recent high profile lawsuit shows how witnesses were not only able to corroborate some of the plaintiff’s claims and stop an orchestrated attack on the plaintiff’s character by her former employer, but also contribute to the exit of a very powerful person who had a long history of sexual harassment. Reports were leaked that several female employees confirmed during the internal investigation that they too were sexually harassed by Ailes, including Fox News star Megyn Kelly, who also took on presidential candidate Donald Trump and his offensive and sexist comments. All of a sudden, the case turned 180 degrees. The heralded CEO whom 21st Century Fox had “full confidence” in was resigning. Gretchen Carlson was no longer a liar, or a vindictive ex-employee making false allegations. 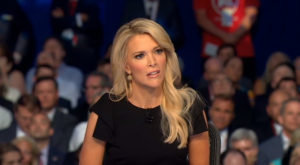 This however, would have never occurred had Megyn Kelly and other brave employees had not been willing to get involved and speak the truth. Both federal and state anti-discrimination laws prohibit an employer from retaliating against employees who report or oppose discrimination or sexual harassment, including those who testify, assist or participate in any manner in an investigation. The spirit of the law and the realities of the workplace are, however, a world apart. Unfortunately, there are still some employers who use intimidation and threats to prevent workers from speaking the truth or fully cooperating in co-worker complaints. It is not an easy decision for workers to get involved and speak up, but the consequences of remaining silent are much worse. All of us feel the tension between work and family life. At some point, you or a family member will face a serious health condition, or perhaps a pregnancy. 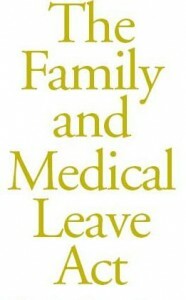 Will your job be protected if you need to take time off for a medical reason or maternity leave? 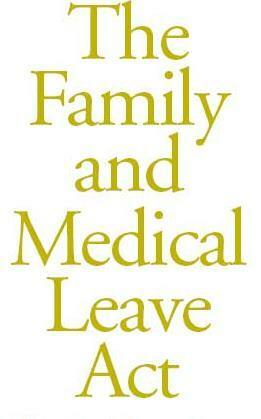 In 1993, Congress enacted into law the Family and Medical Leave Act. For every American worker who qualifies, you are legally entitled to take up to 12 weeks of unpaid leave in a twelve month period; maintenance of health benefits during the leave period; and the right to be reinstated to the same or equivalent position after taking this leave. FMLA leave can be for the birth of a child and that child’s care (maternity leave); for your own serious health condition; or to care for a child, spouse or parent who has a serious health condition. Requesting an extension of your FMLA leave may be a “reasonable accommodation” request under the Americans with Disabilities Act. Employees need not choose between their health and their jobs. The FMLA is an important law that provides American workers protections in the workplace, but it is only effective if employees know and assert their rights. According to the American Staffing Association, U.S. staffing companies employed an average of 3.32 million temporary and contract workers per week in the third quarter of 2015. That means that many American workers have “joint employers” consisting of a staffing or employment agency, and the agency’s client – the actual company where the employee is physically working. This relationship can be a little cloudy for both the worker and the employers when complaints of discrimination arise. Who is the employer? Who is liable for discrimination in the workplace? As we see in the recent case of Burton v. Freescale Semiconductor, both the staffing agency and their client may be liable. Nicole Burton was employed by Manpower, a staffing agency, who placed her at Freescale, a microchip manufacturer. During her employment she inhaled chemical fumes, eventually seeking medical attention. After her condition did not improve, she made a workers compensation claim. Shortly thereafter, Freescale decided to terminate Burton, but waited about a month before advising Burton of her termination. During this interim one month period, Manpower asked Freescale for documentation to support the termination, and Freescale began to generate “retrospective documentation” regarding performance problems. In other words, it began looking for reasons to justify the termination after the decision to terminate was already made. Manpower and Freescale officials also conducted a conference call to establish a “communication plan” regarding the termination. Burton was eventually terminated for four distinct reasons – two of which were discovered after the decision to terminate was already made. Burton sued both companies alleging claims of disability discrimination and workers compensation retaliation. Manpower argued it was not liable, as the decision to terminate was made by Freescale. Freescale argued it was not liable, as Manpower – the company who paid Burton’s salary, was her employer. The trial court agreed and dismissed Burton’s lawsuit. On appeal, the Fifth Circuit Court of Appeals disagreed with both arguments and reversed the trial court’s dismissal. The Fifth Circuit agreed that being a “joint employer” did not create automatic liability for alleged discrimination, but it utilized two commonly used tests to determine if a worker is an “employee” of a particular entity. Freescale had the right to control Burton’s work, as they supervised her, had the ability to evaluate her performance and discipline her, and in this case, recommended her termination. The court concluded Freescale was an “employer” that could be held liable under the discrimination statutes. As for Manpower, the evidence in this case indicated that it was not a passive actor, but rather participated in the decision to terminate Burton. Manpower was involved in a conference call with Freescale officials regarding Burton’s termination, created a “communication plan” with Freescale, and was involved in Freescale’s document gathering to “justify” the termination. The evidence in this case created a fact issue as to whether Manpower knew or should have known about Freescale’s discriminatory conduct, and failed to take corrective measures within its control. Manpower, like most staffing agencies, had anti-discrimination policies for their employees that prohibit discrimination by the agency’s clients. In theory, these agencies should investigate and work with, or if necessary, take action against their clients to end the discrimination. In reality, however, many employment agencies are hesitant to disturb the relationship that have with their clients for fear of losing business. As the Burton case demonstrates, however, Manpower’s failure to promptly address the possible discrimination by one of its clients will wind up costing them. Texas, which continues to lag behind most other states in workers’ rights, enacted a new law effective September 1, 2015, which provides some working moms with protections in the workplace to pump their breast milk. Texas H.B. 786 requires all public employers (e.g., state agencies, cities, counties, and school districts) to provide a place, other than a multiple user bathroom, that is shielded from view and free from intrusion from other employees and the public, where the employee can express breast milk. The new law, however, does not apply to a majority of working moms who are employed in the private sector. 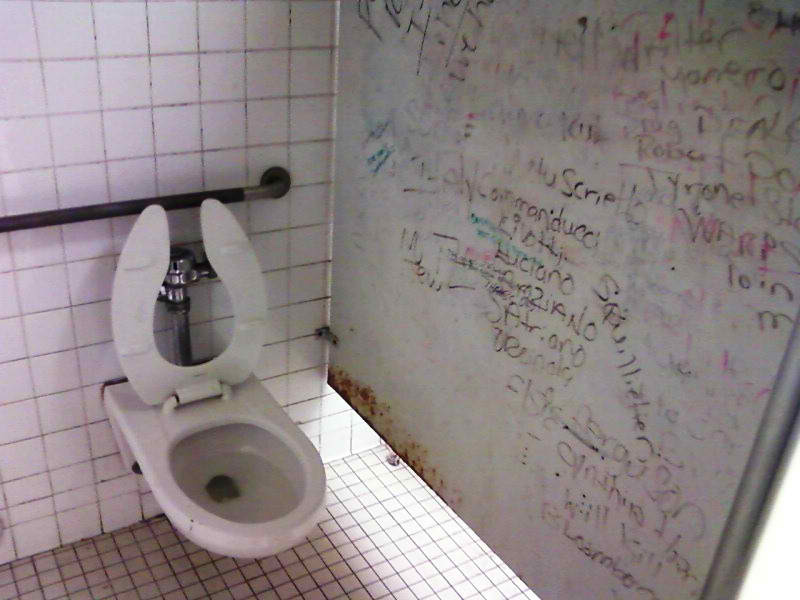 It is interesting to note that the original draft of the bill excluded the use of any bathroom as a designated breast pumping place, but an amendment brought by Van Taylor (R-Plano), added the language, “other than a multiple user bathroom.” Presumably, Van Taylor, who previously made the list of Texas’ Worst Legislators by Texas Monthly Magazine, believes that moms should feel comfortable pumping breast milk sitting on a toilet seat in an unsanitary single user restroom, while co-workers are impatiently waiting outside to use the same restroom. This new law also prohibits discrimination or retaliation against employees who assert their rights under the statute, but Taylor’s amendment added language that prevents workers from bringing lawsuits if such discrimination or retaliation does occur. Texas’ new breast pumping law is a small victory, and a reminder of the barriers that still exists in the workplace for working moms. 5th Circuit Decision: Pro-Employer or Anti-Religion? Nobach filed suit alleging religious discrimination, and a Mississippi jury found in her favor. On appeal, the employer argued that it could not have discriminated based on religion because Nobach never informed them about her religion or religious beliefs prior to her termination. The Fifth Circuit Court of Appeals agreed and reversed the trial court’s judgment. Norbach v. Woodlands Village Nursing Center, Inc. There are certain activities that are inherently religious. 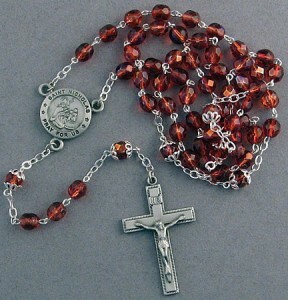 Asking an employee to pray the Bible, the Koran, or in this case a Rosary, clearly falls in that category. A worker should not face discipline or job loss for refusing to perform an inherently religious act that is not part of his or her job duties. Equally, no employer should be able to skirt religious anti-discrimination laws by asserting that they were not aware of a worker’s specific religion. The U.S. Supreme Court recently rejected this “ignorance of religion” defense in EEOC v. Abercrombie & Fitch Stores, Inc., in which the employer denied having actual knowledge that an applicant, who wore a hijab, or headscarf, was Muslim. In that opinion, the court made it clear that a plaintiff did not have to prove that an employer had actual knowledge of the plaintiff’s religion or beliefs to be covered under Title VII’s religious accommodation protections. Does this rationale extend to employers who lacked actual knowledge of a worker’s religion, but discipline or terminate the worker for refusing to perform an inherently religious act? The Fifth Circuit has said no. This is a bothersome opinion for those who are advocates for workers’ rights, as well as advocates for religious freedoms. We will have to wait and see if the U.S. Supreme Court will be willing to weigh in on this decision. The El Paso Times has reported that the CEO of an El Paso public hospital was publicly challenged on apparent inconsistencies he made regarding a 2014 layoff of fifty-six employees – the same year the hospital paid bonuses to the CEO and a few other select personnel. At the time of the layoff, the hospital sent letters to the employees informing them of their separation, and that the decision was budgetary, and unrelated to their performance. It is unclear from the article how the hospital selected these employees for layoff, or if the hospital had any written policies governing how reductions in forces (RIFs) would be implemented. Approximately one year later, the hospital is now projecting fiscal growth. In response to the optimistic news, the same CEO was asked by El Paso County Commissioner’s Court if some of the laid off employees would be rehired. Surprisingly, the CEO responded that “a good third of it (laid off employees) were on disciplinary measures that you don’t want back.” Aside from receiving negative publicity for his comments, the CEO’s statement reflects an apparent change in the reasons for some of these layoffs, which could have legal ramifications. Employment lawyers know that the easiest way for an employer to get rid of unwanted personnel is through a layoff or RIF. Unlike a termination based on poor performance or discipline, a layoff does not require documentation of past performance or disciplinary problems, or that the employer followed its progressive disciplinary procedures. Rather, an employer needs only to assert a desire to reduce the workforce due to financial reasons. While there may be many valid reasons to implement a RIF, certain employees can become easy targets for layoffs, particularly older workers, injured or disabled workers, or employees who have made prior discrimination complaints. While discriminatory motives are not as apparent in layoff cases, employers need to know that the misuse of RIFs to terminate workers for discriminatory reasons can be exposed. Judges and juries alike know that employers rarely admit discrimination. So in order to prove a discrimination case, the law allows workers to put on evidence that the employer’s reason for the termination was false, or a “pretext.” In other words, if a worker is able to show that an employer lied about the reason for his or her termination, a jury is allowed (but not required) to come to the conclusion that the real reason for the termination was discriminatory. So a word of caution to employers, credibility counts. Dishonesty in terminations not only damages your credibility with your workforce, it can end up as a valuable piece of evidence in a discrimination case against you.